The Blunderblat has been pieced together and is ready for its paint job. 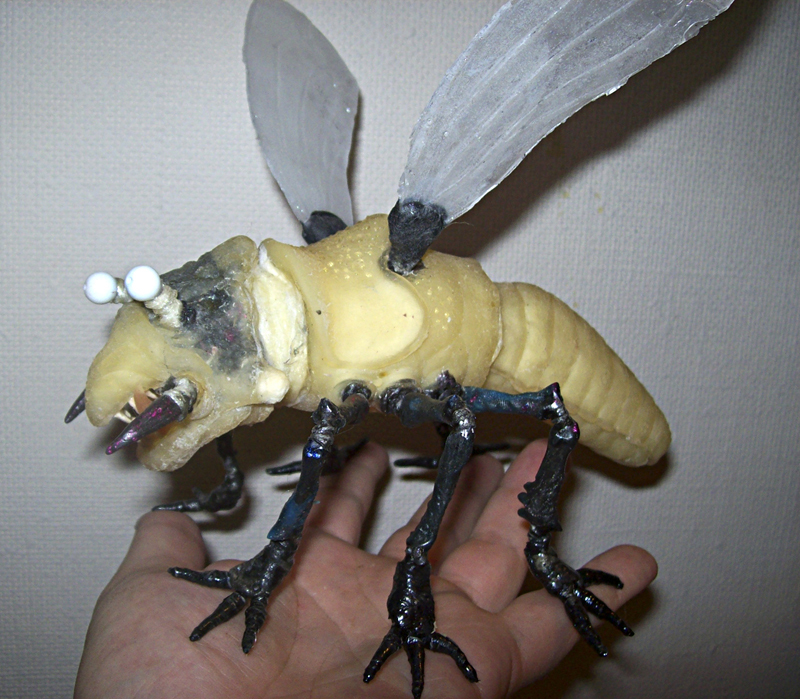 The eyes are plastic beads and the teeth and neck skin are latex. The mandible claws are Friendly Plastic.